Irish Senator, Frank Feighan, has recently suggested that it’s time for Ireland to rejoin the Commonwealth, stating that the UK’s “Brexit” referendum presented the perfect opportunity for the Republic of Ireland to re-evaluate its relationship with its closest neighbor. “Given the power of the peace dividend in succeeding to build many bridges in the last twenty years on this island and with Britain, one of those issues which has been occasionally highlighted in the last number of years is whether Ireland should rejoin the Commonwealth” the Senator said. Referring to when Ireland officially became a Republic and left the Commonwealth in 1949, Feighan emphasised that as many as 33 Republics are current members of the Commonwealth, and that some member states, such as the UK, Australia, Canada and New Zealand, are also home to a large number of Irish citizens. It’s a good question, and one that is certainly worthy of consideration from a freedom of movement perspective. Over the past year, the CFMO has received plenty of emails requesting that Ireland be considered within free movement negotiations, and plenty more asking whether Irish citizens can benefit from our proposals while remaining outside the Commonwealth. Therefore, I would take Senator Feighan’s question one step further; can Ireland rejoin the Commonwealth AND enter into discussions regarding freedom of movement between the UK, Australia, New Zealand and Canada? Firstly, let’s look at the statistics. We have already covered, through in-depth detail, why the UK, Australia, New Zealand and Canada would be ideal countries for a mutual freedom of movement agreement (from a socio-economic perspective), and you can read about why here. The English speaking population in each country is very high, meaning that citizens from each country could easily integrate and assimilate into any of the other countries and likely succeed in finding employment, housing, e.t.c. GDP per capita figures are economically stable, meaning a secure living wage for citizens within the CANZUK area with respect to inflation rates and a high quality of life. So how does Ireland compare in terms of these figures? As it happens, Ireland compares exceptionally well. A vast majority of the country is English speaking (allowing citizens to easily assimilate into society and employment), life expectancy is over 80 years (indicating a strong healthcare system), the population is small (and controlled), Gross Domestic Product (GDP) is higher than New Zealand’s, and even GDP per capita is only second to Australia’s. There is considerably higher unemployment in Ireland than in the CANZUK countries, but this is likely due to recessionary pressure within the economy (which Ireland is gradually resolving). On the whole however, Ireland seems the ideal candidate for a freedom of movement agreement between the UK, Australia, New Zealand and Canada. It’s one thing to be economically and socially compatible with a CANZUK free movement agreement, but another to be democratically supportive. Let’s not forget that the UK, Australia, New Zealand and Canada each have Queen Elizabeth II as their Head of State, and considering the UK and Ireland’s less than perfect history, any move towards unifying Ireland under a “Commonwealth” freedom of movement objective could be seen by many nationalists as resorting to diplomacy “in the Queen’s name”. Free movement within these countries would undoubtedly benefit Irish citizens, many of whom already live within the CANZUK area, either as temporary or permanent residents. 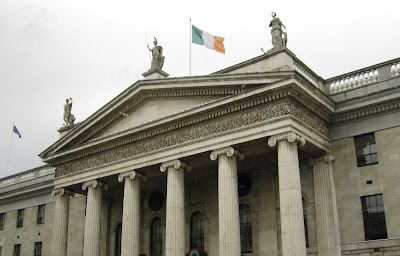 However, the bitter pill of Anglo-Irish history could be too much to swallow for many Irish nationals. It is not time for Ireland to rejoin the Commonwealth or think about rejoining the Commonwealth and it never will be. And there lies a critical problem. Although Ireland would undoubtedly be the perfect applicant for free movement between the UK, Australia, New Zealand and Canada, any application would face harsh criticism from a nationalist perspective. At the expense of gaining the benefits of free movement, would Ireland be willing to reform immigration policy in conjunction with 4 Commonwealth countries, all of whom acknowledge the Queen as Head of State, and recognise that our Commonwealth ties strengthen our ability to achieve free movement? Some would be willing to leave the negatives of colonialism in the past, and promote the Irish passport as one to benefit greatly from free movement within the Commonwealth. Others however, would not be so eager, and would rather distance themselves from any notion of monarchy, the United Kingdom, and indeed, the Commonwealth run by an English Queen. Not to mention, Ireland is a long standing member of the European Union, and has received significant monetary benefits from being so. By already offering free movement to over 508 million EU citizens, Ireland is a “net receiver” from the EU budget (meaning that the government receives more money from the EU pot than what it contributes). 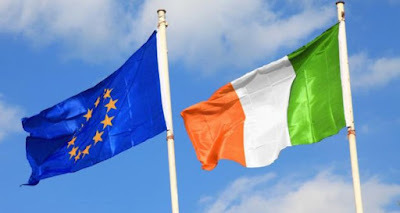 In fact, since its membership in 1973, Ireland has received €41,256,000,000 from the EU budget, over what it has contributed to the EU budget, and was also given billions of Euros in International Monetary Fund financial assistance grants to aid its faltering economy from 2011 to 2013. Re-joining the Commonwealth however, cannot even compete with such financial quantities. Granted, opportunities for trade and diplomatic relations would be plentiful, but why apply when the deal you already have is good enough? Of course, I’m no political pundit, but I doubt joining the Commonwealth (and pursuing freedom of movement) would be high on the Irish government’s agenda, especially when they already embrace EU free movement, receive a great deal of financial incentives from the EU budget, and take an already sceptical view of the Commonwealth, the Queen as Head of State, and their history with the United Kingdom. Unfortunately, at this time, such “acceptance” may not be wide enough to consider Irish citizens for a Commonwealth based campaign. Only time will tell if Ireland applies for free movement between the UK, Australia, New Zealand and Canada, or if political differences will halt all Irish progress towards the ability of living and working freely within the Commonwealth.